Editor’s Note: Please give a warm LaxAllStars.com welcome to our newest writer, Henning Schmidt. A German national now living in London, Henning is giving his all when it comes to growing the game of lacrosse in Great Britain. We will let him take it from here to get you up to speed on English Lacrosse of the past, present and future! 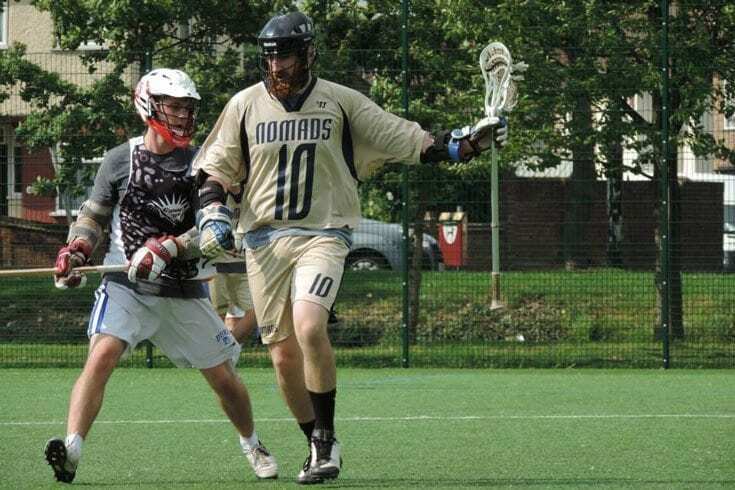 Lacrosse in London, known for its bad weather & unusual use of the English language, is also home to a lacrosse scene with several dozen teams competing for various titles and trophies. I will be doing my best, along with a small group of others, to report on the games in our leagues, some of the particular aspects of the game around here and other more light hearted topics. 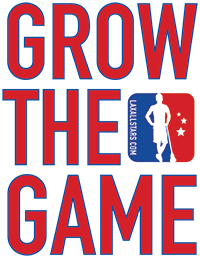 So as a starter, here is a short tour de force of the English lacrosse scene. There is more women’s lacrosse than men’s lacrosse due to the game’s popularity at girls’ schools. There are two main regions for lacrosse in England: the North West region (around Manchester) and the South East of England. Manchester Lacrosse is easily the most competitive in Europe and players moving to southern leagues tend to contribute significantly. Most of England’s national team play for clubs from the North which also produced several NCAA Division 1 players. Lacrosse came to the UK almost 150 years ago with Canadian teams traveling around the country for exhibition matches. A more recent change is the introduction of the British Club Championships, a fresh change allowing all regional champions, including the universities to compete for the national title. Clubs are very much at the heart of the game. They are typically not for profit organizations, run entirely by volunteers. The university game is growing at an astonishing rate. There are now several divisions of university club teams competing for the BUCS title. Durham University from northeast England typically field a very strong team – one of the alumni is a certain Jeremy Sieverts. The level of play differs, with many teams having less than a year experience on average. The passion for the game and its culture is very strong across the board. Lacrosse in London is over 100 years old. The first game ever played at Lord’s Cricket ground with a member of the royal family in attendance was not a cricket match, but a lacrosse game. Several clubs across the country look back at a long history. The Flags, SEMLA’s prestigious cup competition, reports its first trophy holder in 1884. The current set up includes a top league (Premiership), supplemented by several regional leagues (East/West for Men’s and North/South for women’s – no idea why). Teams compete once the warmer version of the London weather, a.k.a. Summer, ends. The first league games start in late September and last league typically around late March/April depending on post-season games. Speaking of post-season – there isn’t one. You win the title if you have more points, from winning and attending games, than the opposition after the last league game day. Boring? Or more gentlemanly? We also have draws in league games, which tends to shock players from the US of A. A slight consolation is that all cup games are all knock-out games. There are many more differences, including no time limits (only stall warning), personal fouls are always non-releasable and rosters are generally smaller. North English Lacrosse caps roster size at thirteen (yes, three subs). Soon to come, there will be a separate piece on all the differences and special features of the game. There may not be a post season, but there is a summer season. Two big components contribute to the yearlong schedule – the plethora of national and international tournaments and, in London at least, recently established summer league. The BluesFest tournament, held every year in June by Walcountian Blues Lacrosse is a great way to close out the season with about four hundred players in attendance. 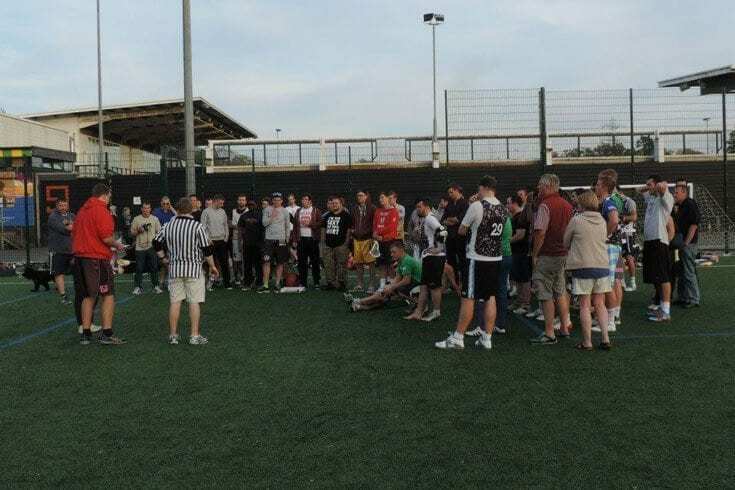 Our club hosts a summer league, open for any player, with six games over about ten weeks, allowing players to play more and with other players. 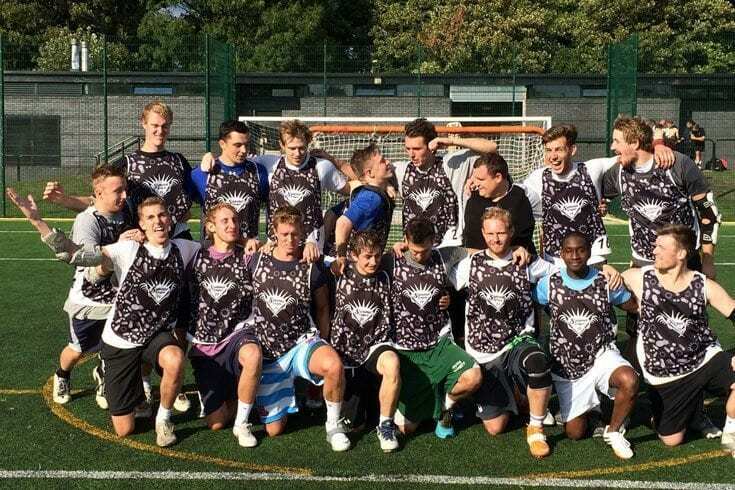 The 2014 summer league saw the Merry Men, yes it’s their actual name, take the inaugural title, closely followed by the London Nomads and Team Dangerzone (Top Gun style) and the Foreigners, known for boasting about ten nationalities on their roster. Established 1971 by students who looked to continue playing lacrosse. We’re currently competing with three teams, one in each of the South’s top divisions and are expanding our teams. We’re closely linked with Tooting Mitcham United FC, who are successfully running a multi-sport hub for football (yes, soccer, sigh), rugby, lacrosse and boxing. With recently acquired volunteer coach Brian Potter, ex-NLL, and some walk ons fresh from the World Games in Denver, T. Loake (Scotland), J. Goodwin (Scotland), E. Dunne (Wales). Hillcroft is now looking to move up in the ranks and break into the top two of our league. A tough challenge with a roster having demanding day jobs and other teams featuring some highly effective US imports. Over the next weeks, there will be more news on London lax on LaxAllStars.com, including game reports, some more detailed pieces as well as some retrospective pieces. Any and all feedback on our project to grow European lacrosse is greatly appreciated, so if you have an idea, contribution or comment, always feel free to drop us a line! For more, visit the English Lacrosse website or follow Hillcroft LC on Facebook! London resident and Hillcroft Lacrosse Club’s head coach, Henning Schmidt, has been playing and coaching in Germany and the UK for over ten years. He currently volunteers for the European Lacrosse Federation, as coach for two London clubs and hopes to return to playing once he recovers from a knee injury. He learned the game as one of the founding members of the Likkedeelers in Bremen, Germany. Follow Henning as he helps to Grow The Game in Europe!